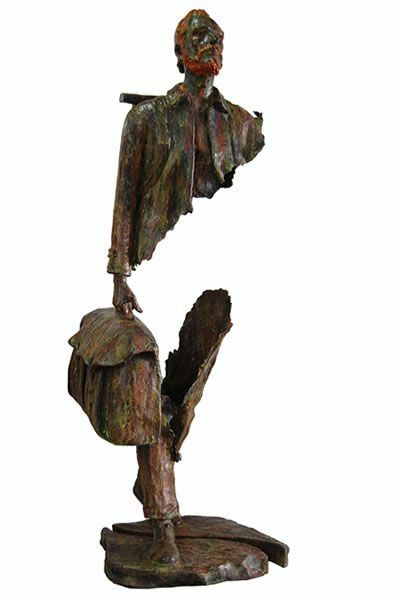 Bruno Catalano (Khouribga, Morocco b.1960) is a French-Italian artist, mostly recognised for his brilliant sculptures. Originally from Sicily, the Catalano family moved from Morocco to the South of France where Bruno studied modelling and drawing. From then on, he gained a spirit of independence and got a little studio to create his own magical body of work. one of Catalano's most popular projects. 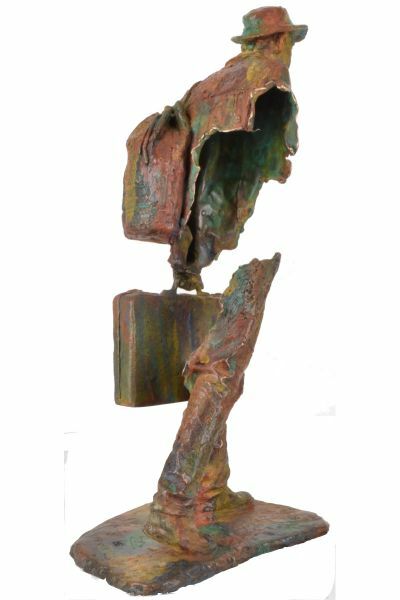 A series of surrealist bronze sculptures with hollowed out chests that inevitably leave audiences in awe. Common impressions towards most of Catalano's work and I believe a lot of it has to do with the way he approaches them. 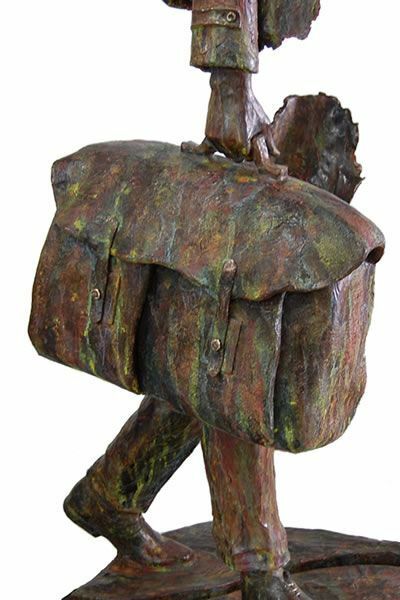 The fact that he was able to achieve such stability and at the same time balance the sculptures from their feet to the suitcase and suitcase handle to the arm and torso is remarkable. 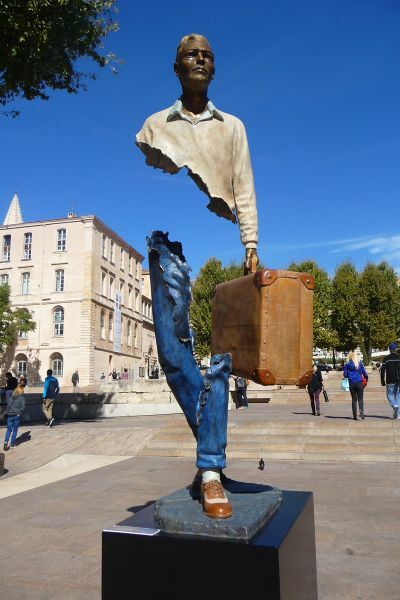 Images courtesy of Bruno Catalano. There's always a piece of luggage in hand paired with vividly expressive facial expressions; consequently creating an emotionally charged response from audiences. In my opinion, seeing hollow chests within perfectly modelled sculptures definitely trigger an empathetic reaction. But what's interesting is that the missing parts from the sculptures also leave room for your imagination to lead its own narrative. Did the voyageurs leave those pieces behind or are they physically and metaphorically missing something? Are they in search of themselves? On a “voyage” of self discovery? Or are they a reflection/reminder of our nomadic selves, leaving memories behind in every place we visit. The beauty of this is that it’s completely up to your interpretation. This is exactly what art is about. Images courtesy of My Modern Met. The sculptures have been installed within pure nature, gardens of Marseille and between medieval architectural landscapes. How beautiful is the contrast between such modern statuettes within different and complementary backdrops? 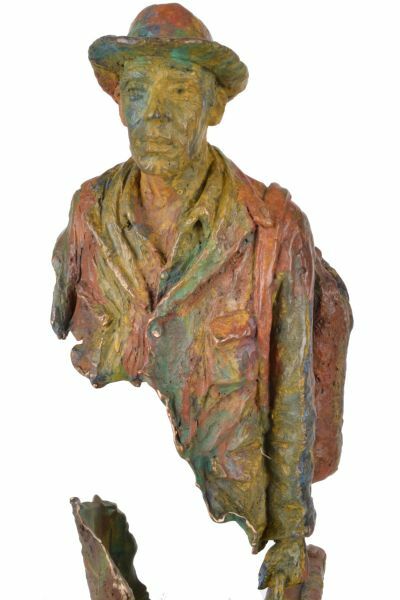 Each environment adds a touch of history and vibrancy to the figures, which can completely alter the essence of the sculptures in such an ingenuous manner. above you can see the familiar face of Van Gogh! How cool!! An interesting story on how Bruno Catalano discovered his style by “mistake.” A very beautiful mistake. Catalano was commissioned to create a sculpture in tribute to a famous French singer that would be displayed on Jean Jaurès square in Marseille. However, he found a flaw in his sculpture: a whole in the stomach with a possibility of the trunk crumbling. Catalano then thought of enlarging the hole, leaving it with a hollow chest similarly to the “Voyageurs” series we see now. From that point on, several galleries approached Catalano and worldwide orders kept coming. Basically the definition of a happy accident. And look where it got him. A little message to all struggling artists: keep going! you'll get there in time! 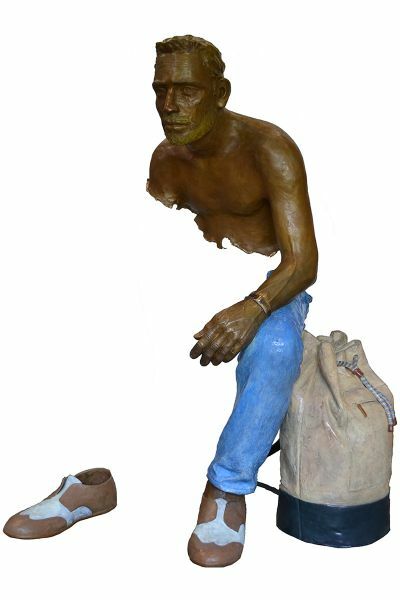 If you want to see more of Bruno Catalano's work, click here. You can also visit Artsy, one of my favourite websites for everything art, to get to know more about Catalano and all his exhibitions and related articles here. What are your impressions on Catalano's work? Comment your thoughts.